Sophomore Logan Boyer throws a pitch during the Aztecs 9-1 victory over UCSB on Feb. 16 at Tony Gwynn Stadium. 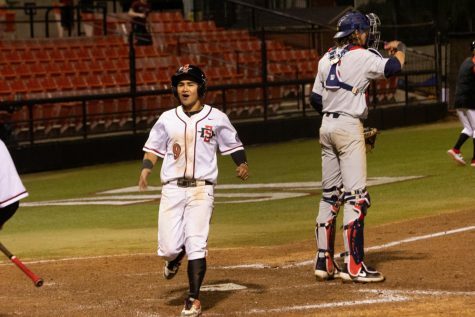 San Diego State baseball got its season underway on Friday, defeating the University of California, Santa Barbara by a score of 9-1 on a cool evening at Tony Gwynn Stadium. 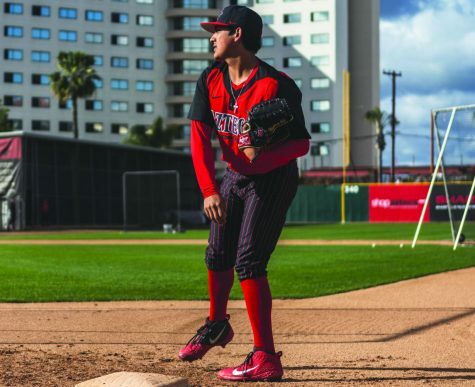 The Aztecs entrusted the starting ball to sophomore pitcher Logan Boyer, making only his second career start. Boyer struck out eight batters and gave up only two hits, but the hard throwing right-hander was pulled after finding himself in a bases loaded jam with two outs in the top of the fourth inning. Even with the short outing, Boyer said that getting the start on opening day was very meaningful. 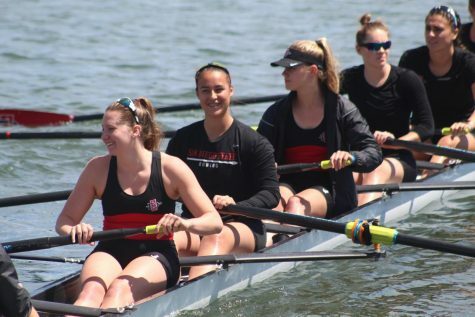 “I think I worked really hard this fall and I thought I earned it, so it meant a lot,” he said. Senior Jacob Erickson (1-0) came on in relief of Boyer and struck out junior outfielder Michael McAdoo to end the threat. 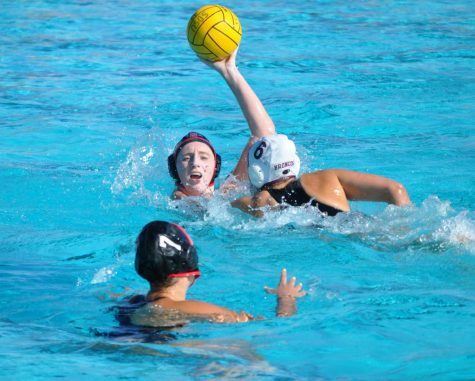 Erickson wore the No. 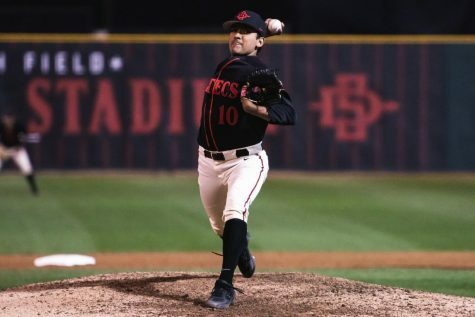 19 in honor of legendary Aztec head coach Tony Gwynn, and Martinez said that his senior coming in and getting a strikeout to end the inning was no coincidence. “(Erickson) came in with the bases loaded and got us out of some big jams, so I think Tony was here tonight for sure,” Martinez said. 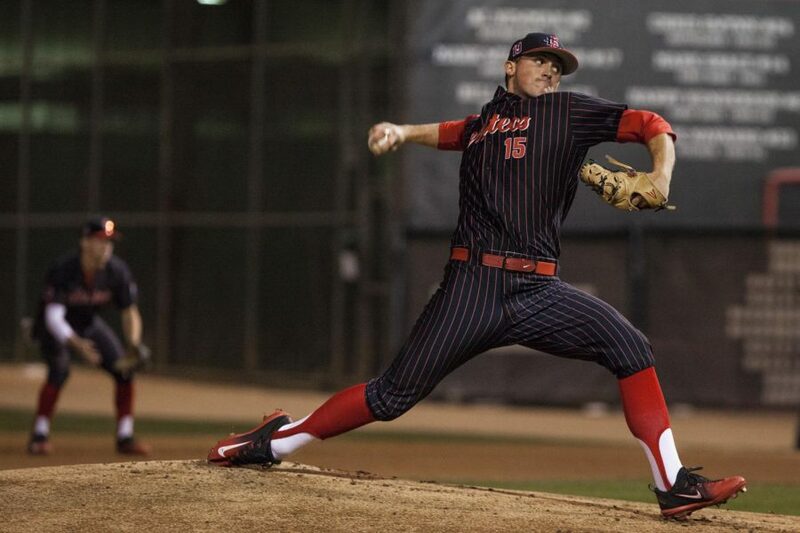 Erickson went on to receive credit for the win after striking out three batters and giving up only one hit in 2.1 innings pitched. 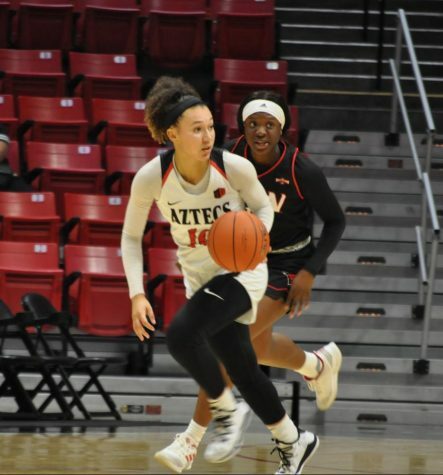 SDSU used a nearly 25-minute second inning to pull away from the Gauchos, loading the bases twice and batting around while scoring five runs in the frame. 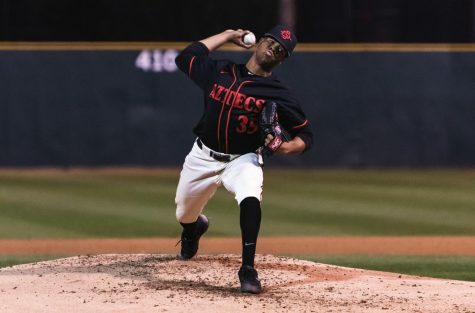 Junior pitcher Noah Davis (0-1) failed to get out of the inning for UCSB, finishing the night giving up three runs on four walks and five hits in 1.2 innings pitched. Redshirt junior outfielder Chad Bible got the big inning started with a single to center on the first pitch he saw, in his first game back since a cancer diagnosis ended his 2017 season after only seven games. “There is no better feeling than squaring up a baseball, but considering how long its taken for me to get back to where I am today, that hit just means a lot,” Bible said. Bible, declared cancer free in August, finished the game 2-for-4 with one RBI and two runs scored. 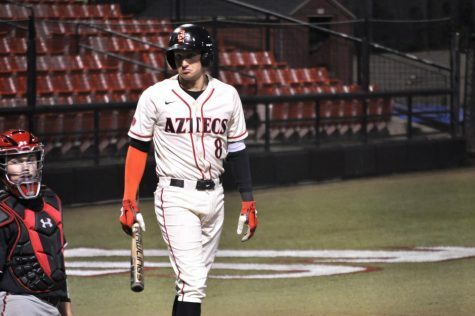 The Aztecs added three runs in the bottom of the fifth, after junior infielder Jordan Verdon (2-for-4 with a double, triple, two RBI) started the inning off with a triple, before coming in to score on a Bible single. Bible would score on a single by freshman infielder Casey Schmitt, and freshman outfielder Matt Rudick crossed the plate on a fielder’s choice with the bases load to complete the scoring. 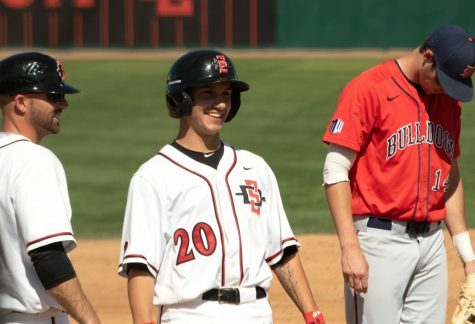 SDSU added its final run after a double play by senior outfielder Chase Calabuig (2-for-4 with one run scored) brought in sophomore outfielder Julian Escobedo from third base. The Gauchos lone run came in the top of the third inning, after a single by redshirt junior Clay Fisher brought in freshman infielder Jason Willow. SDSU began the night with a pregame ring ceremony to honor its fourth Mountain West Conference championship in the past five seasons, and members of last years team – including current and former players – gathered in front of home plate to receive their new hardware. The Aztecs return tomorrow to face UCSB in game two of the three game series at Tony Gwynn Stadium.